Today we’d like to introduce you to Angela Lussier. Who knows what I said. I could never remember even a few seconds after I finished. I don’t know what people were thinking. I don’t even know what I was thinking. I just wanted it to end. Week after week, I endured the same torturous 60-second team meeting update. I vividly remember the feeling of panic each time I sat in those team meetings at the radio station where I worked. Just the thought of saying a few sentences out loud was enough to make me want to call in sick. I often wondered if anyone else could sense just how deep my fear was. Did they know how much my palms were sweating under the table? Could they see how hot my ears were? Every time my turn was next, I would have to force myself to stay in my chair and not sprint out of the room. My fear of public speaking brought up the most intense anxiety and insecurity I had ever experienced and it never seemed to get better. This story took place 11 years ago, at the beginning of my career, when I was one of the shyest people you could ever meet. I went out of my way to disappear, to fade away, to be invisible. I wanted to make something of myself, but I didn’t want to be the center of attention. I wanted to get promoted, but I didn’t want to advocate for myself. I wanted to be recognized for my ideas, but I didn’t want to say them out loud. I hoped others would notice me and push me to the top. This cycle of hoping, wishing, and wondering was both infuriating and depleting. After spending a couple of years at the radio station, I made an eye-opening discovery that would forever change the course of my life. The discovery took place during a company-wide meeting when several staff members got up to present speeches over the course of the day. I noticed the people who were confident, clear, and got their point across with ease were the ones everyone was listening to. I also noticed the speakers who got up and nervously stumbled through their presentations were not as effective or engaging. Most people got up to grab another coffee or a bagel while they were speaking. I realized that day that good public speakers have a lot of power. I also realized that the best public speakers also happened to hold leadership positions in my company. Could this be a coincidence? Could it be possible that in order to be a leader, one also needed to know how to express ideas and stories effectively? Did this mean public speaking was a skill I – gulp – could no longer avoid and would need to learn? This question lingered in my mind each time it was my turn to give my 60-second update. Rather than dread it, what if I could learn to embrace it? And, what if I could find the courage to build my public speaking skills? What would I be capable of then? Was there more for me than hoping, wishing, and wondering if one day someone would notice my gifts and help me move up in my career? What if I could speak up for myself? In 2006, I made the hard decision of learning the skill of public speaking. This decision was not only gut-wrenching, but it also led to more tearful growth experiences than I can count. I found out that I didn’t have to be shy, I could speak up. I learned that I have important things to say that can change other people’s lives. I realized I am a leader. I surprised myself by all that I have to offer. I learned all of this through my public speaking journey and the 700+ speeches I have given to date. I found out there is an entire secret life that emerges from speaking up and believing in yourself. 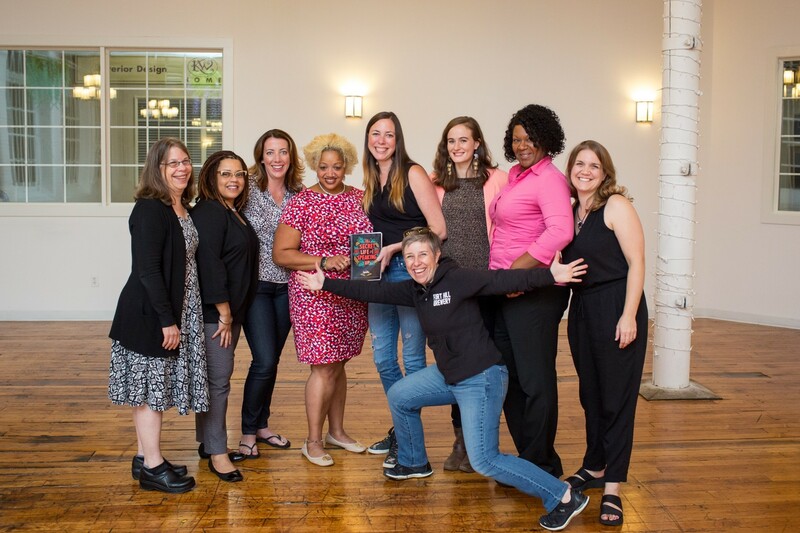 Today, I am an award-winning professional speaker, four-time author, two-time TEDx presenter, podcast host, and CEO and founder of the Speaker Sisterhood. These are six accomplishments I only could have dreamt of 11 years ago and I owe it all to finding my voice, and myself, through public speaking. More tears than I can count came from this experience. I became a business owner in 2009 (at the age of 28) after my boss told me my creativity was an “issue” and out of desperation and fear of going back to another soul-crushing job, I worked around the clock to get my career consulting business off the ground. I built it by giving free workshops at area libraries, Rotary clubs, Chambers of Commerce meetings, professional associations, middle schools, and anywhere else that had chairs and willing listeners. I gave hundreds of free presentations my first year in business and wrote my first book, The Anti-Resume Revolution. On the way to each speaking engagement, I would go through the same routine. I would say to myself, “Who do you think you are? No one cares what you have to say! You’re too young to tell people what to do with their career! You’re not a real public speaker. No one will believe you.” I would cry on the way to the majority of my workshops and had to give myself the mother of all pep talks to get myself into the building every time. And every time I was glad I did. Every time I helped someone. Every time I grew in a new way. Eventually, the tears subsided and my confidence grew. Companies and conferences started paying to have me speak. I started to gain recognition through my work and my hero, Seth Godin, even featured my book as recommended reading on his blog. As I started to learn more about business, I came to realize that working as a consultant and the hustle associated with that type of business model was not going to be sustainable for me in the long run. I was already exhausted at age 30 and wondered if I’d need to retire at 35. Do people do that?! I started to seek out scaleable business models. How could I secure income that would be reoccurring while still doing something I love? I decided to start an online community for new entrepreneurs called the Do+Make Business District in October of 2014 and charged a monthly membership fee. People signed up! I was building a scalable business! Except I didn’t like the lifestyle associated with it – I was home all day writing scripts for instructional videos, shooting the videos, starring in the videos, editing, and posting them. I rarely interacted with people in-person anymore. As much as the pajama lifestyle seemed like the perfect life, I realized I needed to be part of a community I could interact within a physical space. This was not a failure, it was a step closer to the business I really wanted. 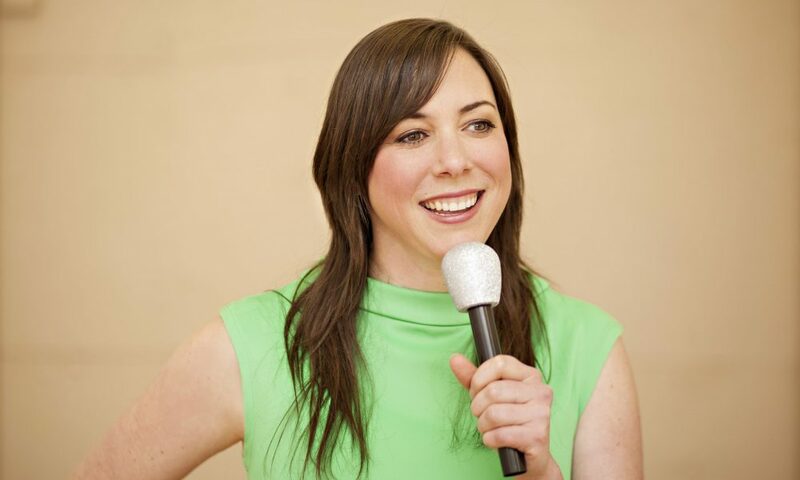 I closed my online community in January of 2016 and as I searched for another new idea, I launched a 6-week online course called the Speaking School for Women to teach women how to become professional speakers. 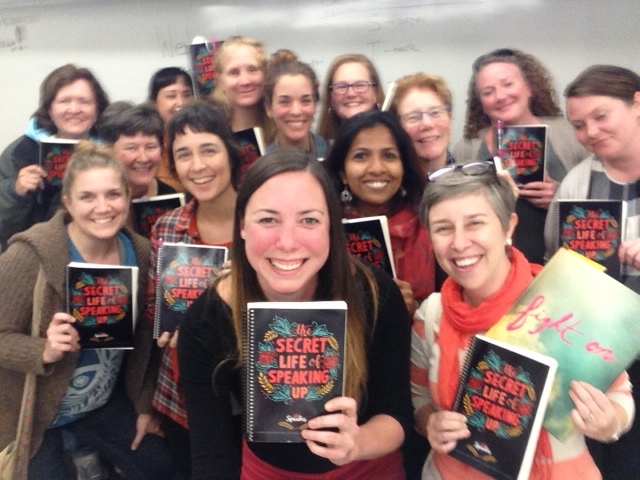 It wasn’t hard to find women who were interested in this – I made $11,000 from my first run of the course and realized I wasn’t the only woman interested in public speaking! From that course came the idea that would change my life. One of the students asked where she could go to practice her speech we just wrote together. I responded by saying “Toastmasters” and she gave me a funny look. In fact, the whole class had the same look. In that moment, I realized there was no offering specifically for women that addressed their needs and challenges around public speaking. I went home and journaled about it and by the next day, had conceived of the idea for the Speaker Sisterhood. I was going to build a network of public speaking clubs for women. That was not only the most exciting idea I could possibly think of working on, but it was also scaleable. Double bonus. So, as you know, we’re impressed with Speaker Sisterhood – tell our readers more, for example what you’re most proud of as a company and what sets you apart from others. 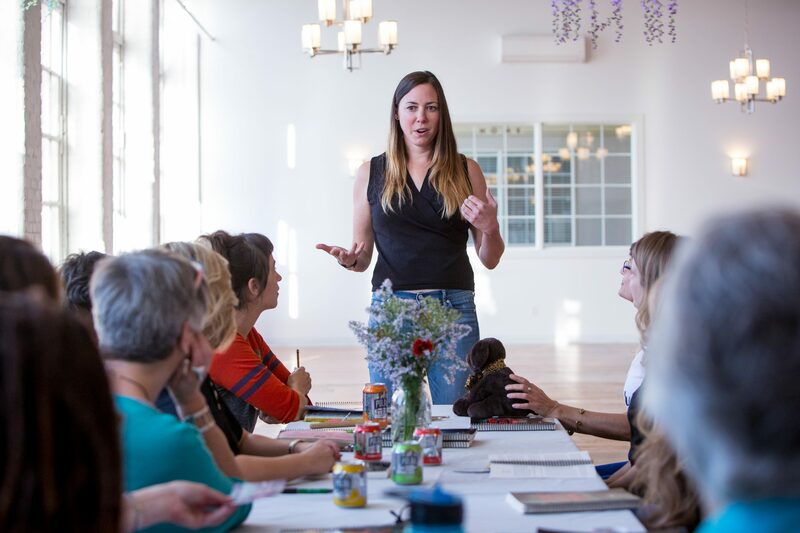 The Speaker Sisterhood is a network of speaking clubs for women who want to discover, awaken, and create their voice through the art of public speaking. We do this through twice a month meetings in small groups of up to 15 women. At each meeting, members are given the opportunity to give a presentation, offer feedback, share their experiences as they grow, and participate in the skill building games. 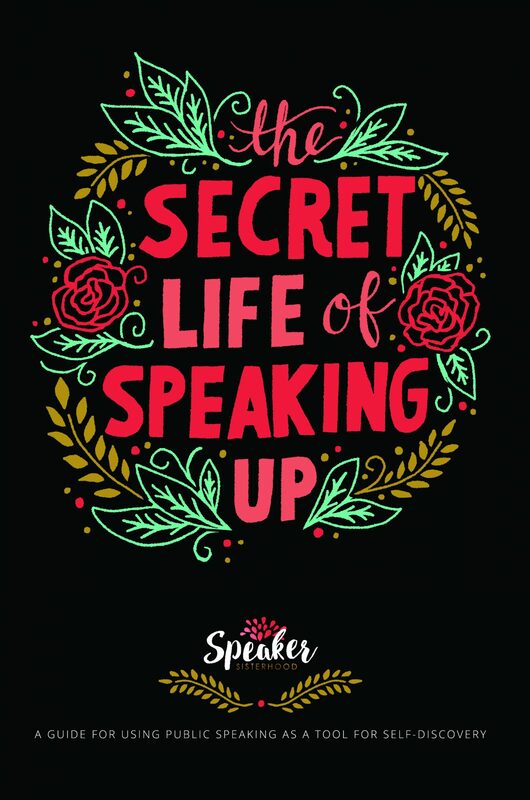 At each meeting, five members deliver a planned speech that was prepared through the use of the Speaker Sisterhood curriculum, The Secret Life of Speaking Up, A Guide for Using Public Speaking As a Tool for Self-Discovery. This program is built on the philosophy that each public speaking opportunity is a chance to discover, awaken, and ultimately create the voice each speaker will present to the world. 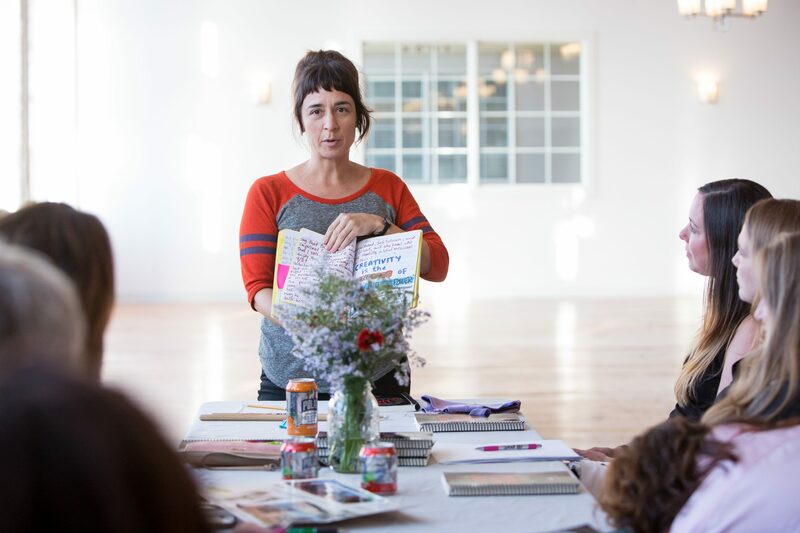 The Speaker Sisterhood isn’t just a public speaking training program, it is an experiential adventure that uses public speaking as a tool for self-discovery. We are most proud of the diversity of results and changes our members are experiencing as a result of their membership. Members tell us about changes in their marriages due to their new found voice and confidence and willingness to ask for what they want. Our members are applying for leadership positions they once felt were reserved for other more outspoken or extroverted colleagues. For the self-employed members, they are reporting asking for more money in their proposals, actively seeking out conferences to speak at, and pitching themselves proactively. 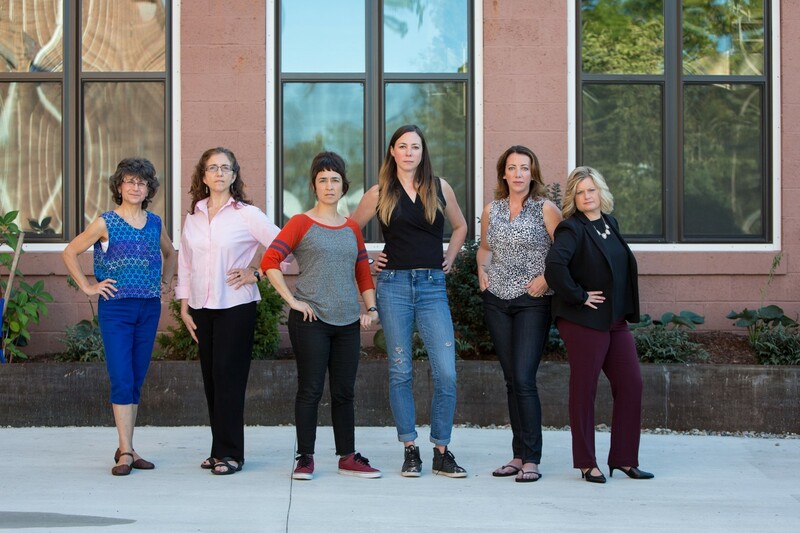 Our members are advocating for themselves at work by asking their boss for more money, more flexibility, inclusion in big decisions, and getting additional opportunities for development. The list goes on and on and what it points to is one important conclusion: practicing public speaking in a safe space and learning how to tell the truth in a supportive environment is the key to unlocking a more honest, rich, and fulfilling life. What sets us apart is that we have created an offering specifically for women and it’s not just about public speaking, it’s about the journey of discovering who you are. Today, we have 20 Speaker Sisterhood clubs around the northeast and one in New Zealand. We are growing through a licensing model and we are training women who are interested in having their own club. Our goal is to have 100 clubs by the end of 2018 and 3,000 clubs by the end of 2022. As we’re seeing in the news this year, women finding their voice, speaking up, and having equality in the workplace and beyond is an overdue subject. This offering addresses the need women have to build this important skill and I can only see more potential for this company as we grow and help more women. I’ll be doing two speaking tours in 2018 to spread the word about how to find your voice and promoting Speaker Sisterhood as an option to do that.